Kayak Fishing is an outdoor activity that combines two fantastic activities, Kayaking and Fishing. There is no better way to escape the hustle and bustle of urban life and just enter the embrace of nature. The tranquility of fishing coupled with the thrill of kayaking makes this the best combination for anybody looking for a mellow adventure. Kayak fishing has become increasingly popular in the recent past due to its myriad benefits over the conventional fishing that uses motor boats. For starters, the kayak is a very nature-friendly means of traveling in water as it is rid of any noise or air pollution. As amazing as kayak fishing sounds, there are a few technicalities that need to be sorted out before you can launch on this adventure. For beginners, this might seem overwhelming since you do not know where to start. We have compiled a list of 8 tips that will come handy when you are preparing for your kayak fishing trip. An experienced individual or a beginner, this will be useful for everyone. So, let us begin. This is the most important issue to address for a kayak fishing trip. Deciding upon a suitable situation saves you time and ensure results. Kayak fishing is very versatile in nature since it never limits the kind of places you can fish in. A common misconception is that paddling farther way will offer results. This, however, is rather misleading. It is crucial to realize that route is important and the distance. A good way to tackle this is to fish in a circular route rather than trying to paddle far off dark and tiring yourself with hard paddling. When selecting a kayak, consider all your possible needs. There a few questions to answer before you put your foot down on a kayak. Consider your setting. Different types of kayaks are suitable for various kinds of water bodies. For instance, if you plan to be fishing in a steady lake or a mellow area of a river, you will need a regular kayak. However, if you wish to be hitting the surf, then bring in your big guns. The key points to keep in mind are the steadiness, sturdiness, stability and seating comfort you require. If you plan to be catching big fish, think large storage compartments. However, if bluegills are more your style, then storage will not be an issue. Another thing to keep in mind is your mode of transportation. You will require some method of transporting your kayak to the water body, and you should make sure that your ride is big enough to carry it. Another thing is picking out the right paddle. Ensure that it is a light weight and well-shaped paddle which will make it very easy to use. A good tip for beginners is to only have the duration of the fishing line equal to the length of your rod. This means that you will have less work to do when some weeds get stuck or in case you hook a fish. The reeling off the line in with the fish stuck to the hook is very tedious when the length is too much. You might even end up losing the fish. This is a great tip for kayak fishermen who wish to do something out of the ordinary. If you want to spice up your kayak fishing, try to sight fishing. This usually requires looking inside the water body from a high vantage point. This means that you either need to have a heightened seating by perching yourself or will need to stand up. This is only good after some practice or else you might find yourself in some danger. It is advised to do this in supervision for the first time. Sight fishing is extremely useful in kayak fishing if you can pull it off. Due to the quiet nature of the kayak, the fish are not spooked, and are not alarmed by your approach. Often, you can also see the tails of the fish. Try looking for “nervous waters.” The fish is where the disturbance is. Anchors are most definitely an essential item in kayak fishing gear. This is especially useful if you plan to fish in an area which is an open lake. Open lakes and areas suchlike are often windy. An anchor comes in very handy in positioning your boat in a certain spot and holding it there. This will be hard to achieve without an anchor since the wind currents will keep shifting the kayak. For most kayaks, a claw anchor weighing 2 to 4 pounds is sufficient. Make sure to use an easy-release anchor since wind currents that are too heavy might end up pushing the boat under water and drowning it. If you are someone who usually catches in a certain locality, you must know the fish life cycles. Do some research and find out what species exist where you fish. Study their life cycles and reproduction cycles and make a log out of it. This will help you keep track of when the population is flourishing and the fish numbers are at their peaks. Maintaining a log will help you catch more fish in less time and hence prove your fishing trips successful. This result oriented approach is fool-proof. Moreover, try expanding your horizons by not targeting just one kind of fish especially if you are a beginner. This might make catching very hard. It is a good idea to just expert yourself in the technique in your first few times and then going for targets. In the start, focus more on your kayaking techniques and catch whatever fish comes to you. This technique is the hardest and the most useful. However, this is not something you cannot master with practice. This is needed in case you are tackling a fish with one hand and need to steer or maintain the kayak in a particular position. In situations like these, when a catch is at stake, you cannot use both hands to maneuver your kayak. This is where one hand paddling comes in. Have a way to anchor the kayak handle along with your forearm and steer with the paddle part dipped in water. Whenever you are taking up any outdoor activity, it is very essential to do so with proper precautions. Ensure that you carry a basic first aid kit in case of any minor mishaps. Secondly, always have a float jacket in your kayak irrespective of your swimming skills. You can never be too careful with water. Moreover, ensure sun protection. Kayak fishing requires a lot of time to be spent put in the open sun. Wear sun goggles and sunscreen to avoid any burns. 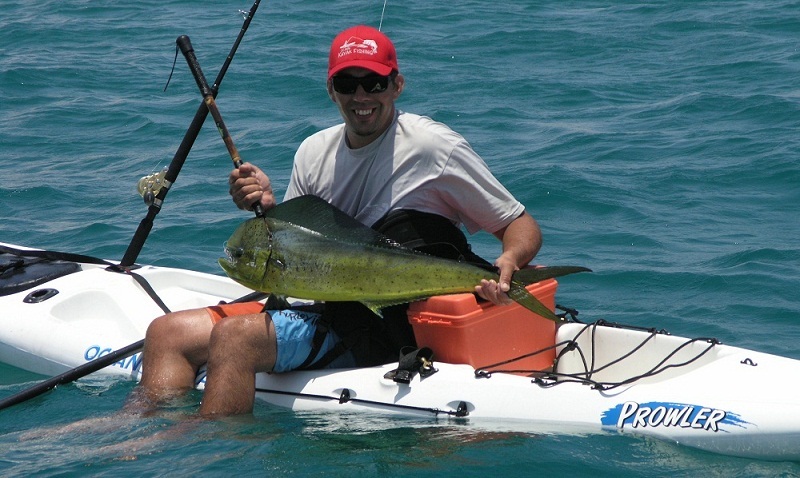 Kayak fishing has become immensely popular in the recent past and with good reason. This activity is the perfect balance of excitement and tranquility. On top of that, its eco-friendly nature makes it a favorite among nature lovers. There are no age restrictions. You do not need any huge preparations. However, it is crucial to realize the importance of good kayak fishing gear. Invest in some good instruments and you are golden. You will quickly learn with experience. So, venture into the waters and just remember to be safe out there and have fun. Happy fishing! It is awesome that you mentioned the importance of choosing the right kayak for the right waters. I can see that doing this can help you avoid accidents and make sure you have a blast. 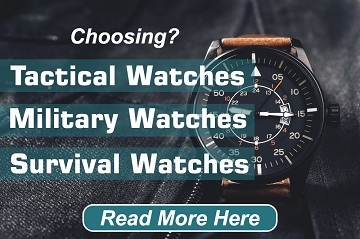 Personally, I believe that taking some time before your trip can help you choose the best gear and learn a little about the place where you will be and their rules there. I was planning to go for kayak fishing and this article was exactly what I was looking for.But, being an absolute beginner in this filed I was really confused and needed professional before I could go for kayak fishing.But this article just answered all my questions. A very nicely written informative article with all the tips I needed. Nice work, am interested in getting into kayak fishing and this is exactly the sort of info I needed. Thank you. I love that you emphasized the importance of having a float in your jacket regardless if you are a good swimmer. I will share this tip with my family since we will be going out this summer for a kayaking trip. My sons are actually good swimmers, so we really need this reminder to keep in mind that we still need to take safety precautions. We haven’t found a canoe rental company yet, but this tip will help us a lot remain safe on the trip. You have to be careful kayaking in the ocean. There are some serious weather concerns that can render you useless. Greetings from Iceland! I’m bored to tears at work so I decided to check out your blog on my phone during lunch break. I enjoy the info you present here and can’t wait to take a look when I get home. I’m amazed at how fast your blog loaded on my mobile. You are so interesting! I don’t believe I have read a single thing about kayak the ultimate guide like this before. So nice to discover someone with a few unique thoughts on this subject matter.